St. Louis, Missouri, may be getting a new building or two from Tatiana Bilbao if plans for a new complex move forward. 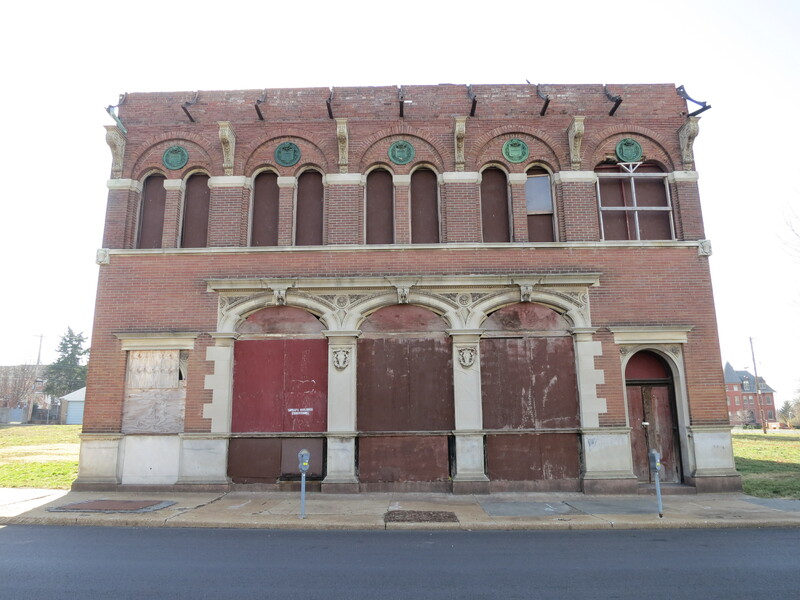 The St. Louis Post-Dispatch recently reported that an unconventional team of developers has assembled to redevelop a mostly vacant block in the city’s Grand Center Arts District. The team plans to recruit other high-profile architects to design housing and amenity spaces. The development’s site is a block bounded by Vandeventer Avenue, North Spring Avenue, Olive Street, and an alley on its southern edge. The historic Henry L. Wolfner Memorial Library for the Blind sits empty on the site, and the developers have agreed to maintain and refurbish the building’s front facade while tearing down the back and repurposing the interior for a “clubhouse” for the development. That renovation is being led by St. Louis firm Axi:Ome. St. Louis’s Grand Center Arts District is a historic neighborhood home to many old and new cultural institutions like the Tadao Ando-designed Pulitzer Arts Foundation and the Allied Works-designed Contemporary Art Museum St. Louis, which both stand just a block from the proposed development’s site. The development team is led by philanthropist and arts-patron Emily Rauh Pulitzer, who is joined by James Maloney and Owen Development’s Steve Trampe, according to the Post-Dispatch. Pulitzer was the force behind the eponymous arts foundation building nearby. Although the team wants to bring big-name designers to the project, they apparently intend to keep the development affordable to middle-income buyers and have stressed that their intention is not to maximize profit but to boost and revitalize the local neighborhood. The budget for the project comes to $30 million, and it will potentially include “23 housing units in 17 buildings as well as an apartment building with 20 or so units,” according to an earlier article from the Post-Dispatch, and the developers hope to start construction early next year.